most of whom were not part of our church family on a regular basis. What really encouraged us is that some of the kids were hearing about Jesus for the first time. Sometimes, people wonder why volunteers in churches set aside copious amounts of their time – not just during the week of vacation Bible school, but well in advance of it – to spend five mornings with an unknown number of children whom they may or may not ever see again. Why do we do it? We do it because of those kids who get to hear about Jesus for the first time, or for the first time again. 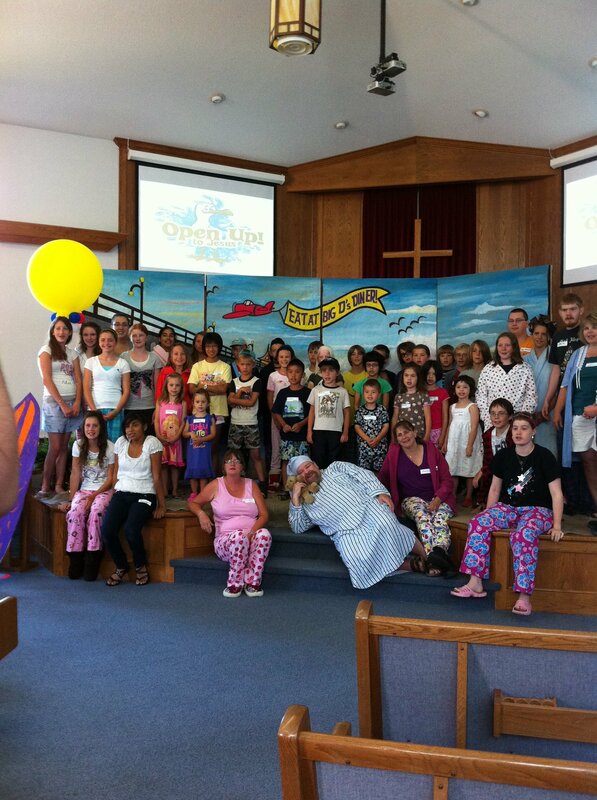 Many children have their first memory of learning about God through a vacation Bible school; I know that’s true for me. And we who invest ourselves in those kids for a week want that memory of learning about God to be not only positive, but transformational. We invest in these kids so that they will be a little more like Jesus today than they were yesterday. lives of children, and make a difference, because God has given you gifts to share in unique ways. And pray for the kids who participate in Bible Fun Camp, and vacation Bible schools everywhere. Lives can be, and will be, changed. “[L]et God transform you into a new person by changing the way you think. Then you will learn to know God’s will for you, which is good and pleasing and perfect” (Romans 12.2, NLT).